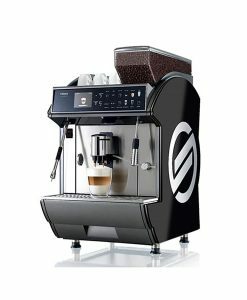 At Segafredo Zanetti we understand the importance of having top quality coffee and equipment available in the workplace. Our proven commitment to your coffee needs has seen us deliver truly customised solutions to over 10,000 businesses Australia wide. Whether you require coffee for your office/ workplace, café, restaurant or home. We have the right equipment and best coffee to match. The best office coffee solution starts with options! At Segafredo Zanetti we are always working with our customers to achieve a truly customised package designed for your needs! 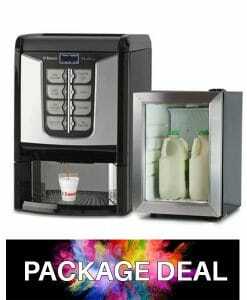 Whether you are looking for a coffee machine for a small, medium or large office, we have the best quality service, products and equipment for you! 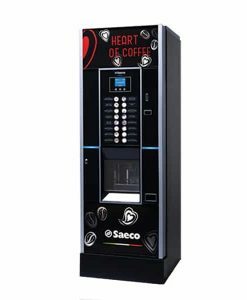 We also cater to vending operators with a great selection of vending products and Saeco Vending machines to match. Our service is second to none, with service & repair centres all over Australia. We are the authorised service centre for Saeco and La San Marco. Checking your machine in for a tune-up couldn’t be easier, if you can’t make it, we can come to you. At Segafredo we have long known that the days of instant coffee are gone! 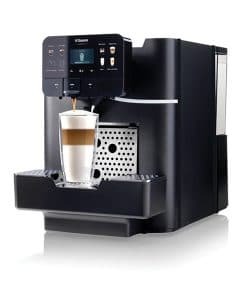 If you are in need of real espresso coffee at work, don’t hesitate to browse our full range of office coffee machines by visiting our online shop. Or get in touch with our experienced coffee consultants today for an obligation free quote! 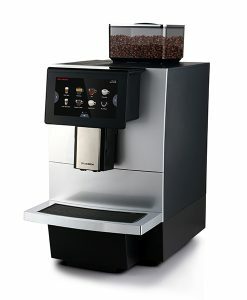 Our bean to cup coffee machines produce cafe quality coffee in your office at a fraction of the cost. Easy to operate and recommended for offices of any size; bean to cup coffee machines offer freshly roasted coffee for you and your staff. Segafredo capsules offers a great range of coffee blends; minimal maintenance and consistent quality are the main advantage. 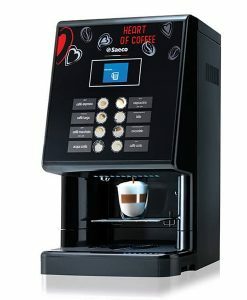 Recommended for small to medium businesses the Segafredo capsule system range is the ultimate in office coffee solutions. Every coffee machine requires cleaning at regular intervals to ensure that it continues to perform at its optimum. Coffee Machines differ not only in terms of price, quality and performance but also their service requirements. It is important to choose a machine that suits the amount of time which you are willing to spend to maintain it. Fill out the enquiry form to see if you qualify. Making a great office coffee for shouldn't be hard! 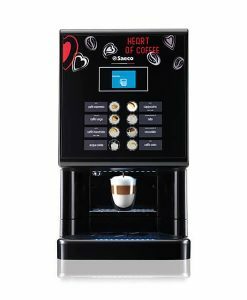 Our office coffee machines are easy to operate with a clear user interface and large buttons for selecting your preferred coffee. 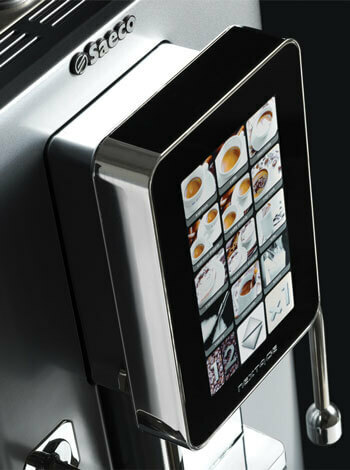 Whether you prefer an espresso or cappuccino, the perfect coffee is served at the touch of a button. Get it Free On Loan! 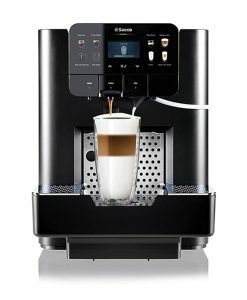 For qualifying businesses we can provide you with a coffee machine on free on loan terms. This means you can enjoy our MyEspresso compatible equipment free of charge when you purchase a set quantity of coffee products from us. To see if you are eligible for a free on loan machine get in touch today! MyEspresso & Nespresso compatible capsules from Segafredo are manufactured with the EcoPure additive which makes the plastic 100% biodegradable. 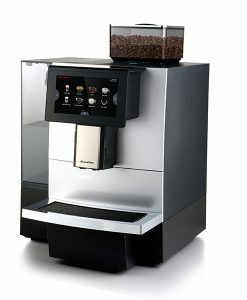 Having a quality office coffee machine for your staff and customers to enjoy couldn’t be easier! We offer rental options on all office coffee machines. 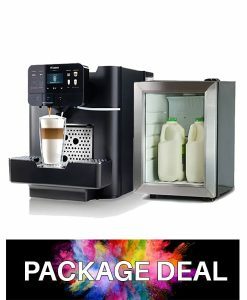 We also have offers available where you only pay for the coffee you drink and we provide you with a free machine on loan! To find out if you qualify please complete the obligation free enquiry form today. Unlike some coffee companies we don’t lock you into a contract! Our products and after sales service is how we have built strong relationships with our customers (over 10,000 and growing) in Australia. 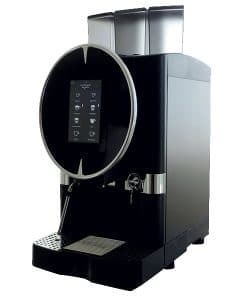 We offer a ‘no hassle’ office coffee machine rental service to businesses all over Australia. This includes routine servicing of the coffee machine free of charge. From as little as $25 (ex. GST) per week you can have your own office coffee machine. We will even organise delivery and installation of the equipment. To apply or for more info about office coffee machine please click on ‘enquire now’ or call our sales team on: 1300 660 976. One of our friendly coffee consultants will contact you to schedule an appointment/demonstration at your office. This is of course obligation free! Office coffee machines should be serviced at least every 6 months. We recommend you service your machine every 3 months especially if you are in an area with ‘hard’ water which contains impurities such as lime scale. If you are a Segafredo rental coffee machine customer you will receive free routine servicing on site, however it is still your responsibility to give the machine a quick clean on a daily basis. As a Segafredo Zanetti coffee customer you also receive free servicing at one of our Australia wide service centres when purchasing 8kg of coffee (this does not have to purchased all as once). Cleaning of the grinder and brew unit. Our technicians are on stand by 24/7 just in case your coffee machine breaks down. Getting you up and running is our priority! 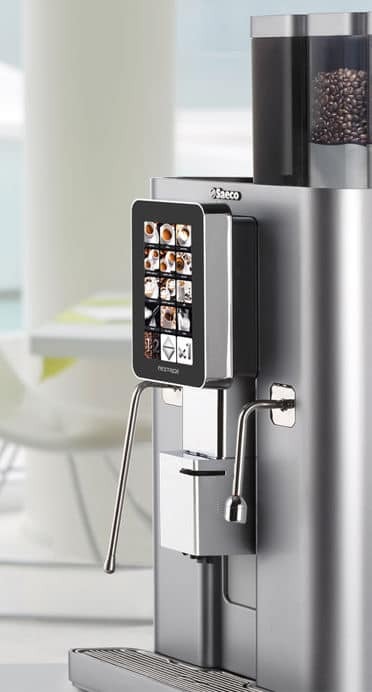 Keeping your machine clean and lime-scale free will ensure you will always have café quality coffee in your office or workplace! We offer a huge range of cleaning products from Cafetto and Saeco which are specifically designed for office coffee machines. In a busy environment we recommend giving your machine a basic daily clean. Most machines have an automatic cleaning cycle which you can run on a daily basis. Cleaning tablets – super convenient, pop them into the designated slot on your machine and follow the cleaning cycle instructions. De-scaler – you should essentially run a de-scaling cycle every 3 months to keep lime scale at bay. Milk frother cleaner – this product is a must! It is perfect for cleaning milk lines and milk frothers on office coffee machines. Not only will it remove hardened milk scum but it will also eliminate e-coli and other nasty bacteria. With such an extensive range of office coffee machines and a large variety of coffee blends, including coffee beans, ground, and decaf coffee, we are certain that we can provide you with the best coffee solution for your office. We also stock a fantastic range of products to compliment your coffee such as drinking chocolate, chai and a great selection of Monin syrups. For the tea drinkers we also have a great selection of Brodies tea available. Who will be using the coffee machine? Do you only have a select number of people that will be in charge of the coffee machine or will everyone be allowed to help themselves? Are you planning to provide coffee to your customers or maybe you want a payment system connected to your office vending machine? How many staff will be drinking coffee? 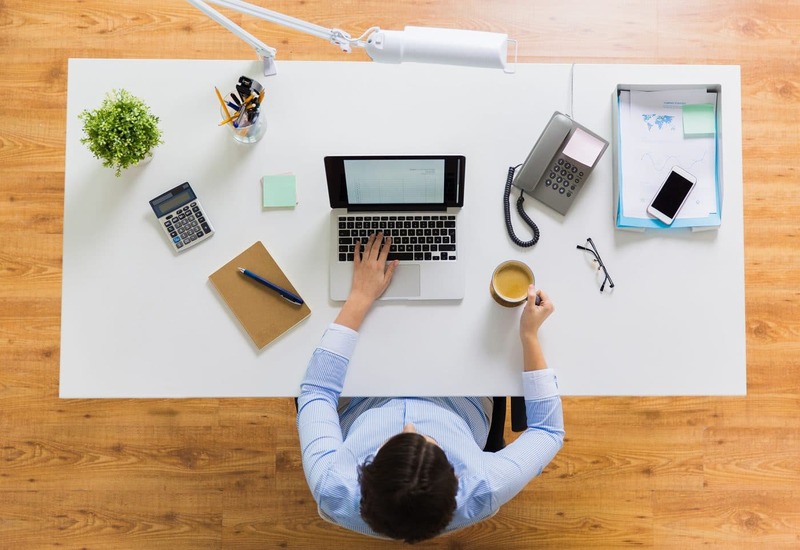 With office coffee machines it is important to determine how many staff are coffee drinkers and who will be using the office coffee service you provide. Office solutions that can cope with the number of people using the equipment will greatly prolong the life of your coffee/vending machine.